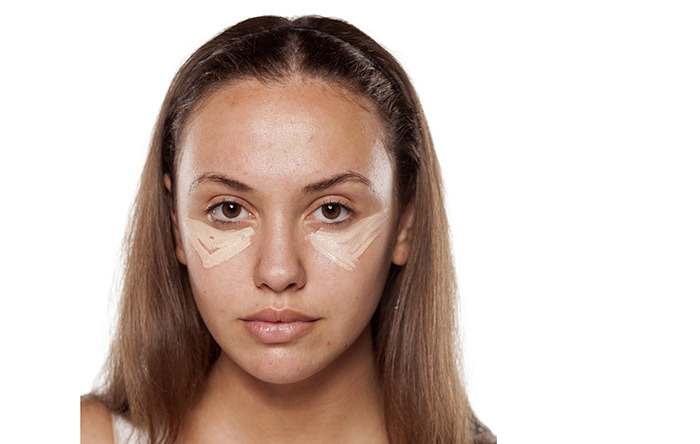 While putting your foundation on, if you want sheer coverage, use your fingers. But, if you want a full coverage, use a foundation brush. 13. Apply In A Triangular Fashion For Better Blending. If you are in the mood for trying out something fun, try making your own bronzer. All you need are a few items that are already sitting on your kitchen shelf. Take some cinnamon powder, cocoa powder, some nutmeg powder, and mix with some cornstarch – and there you have your bronzer. If you are a fan of makeup with natural ingredients or want to keep chemicals completely at bay, it doesn’t get any more natural than this. This is one of the most versatile soldiers of your makeup arsenal. Eyeshadow can be used as a blush, bronzer, highlighter and even to slightly alter the color of your base makeup items. If you are stuck with an eyeshadow with less pigment or you want that extra pop of color, create a white base by filling in your eyelids with a white eyeliner pencil first. On the days when another battle with your eyeliner seems impossible or you just want a soft look, take an angular brush and use eyeshadow instead of an eyeliner on your upper lash line. It gives a natural and breezy look, absolutely perfect for summers. 20. Dots And Dashes To The Rescue. It might sound lame to a few, but there are people (like me) for whom drawing a straight line on paper is a task difficult enough, let alone exhibit such mastery on eyes with an eyeliner. 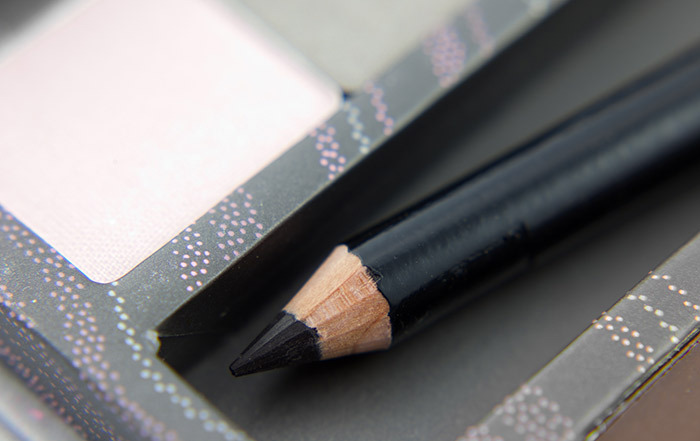 Fret not, just draw small dots or dashes with your eyeliner on the lashline and join them. 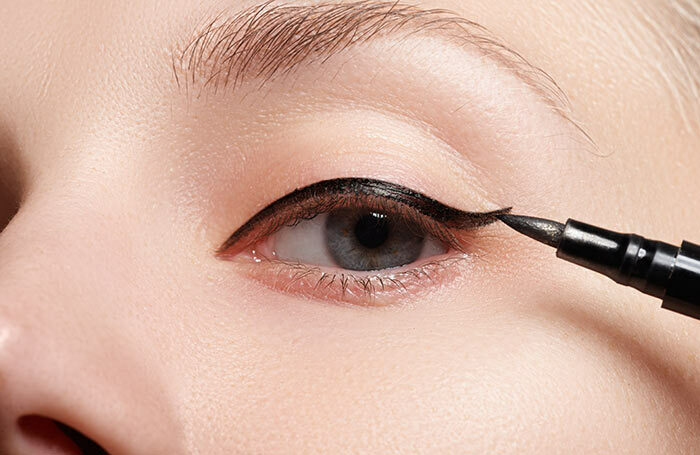 Perfectly done eyeliner in a jiffy. 23. Go Natural With Tightlining. 24. Use A Shadow To Lock It In. 26. Hassle Free Smokey Eyes. For a quick smokey eye, apply kohl on your upper and lower lashlines and waterline and then smudge it. Finish off by drawing a sideways ‘V’ on the outer corner and blend well. Rock the sultry smokey eyes for a night out. Removing kajal from your eyes can be quite a task. 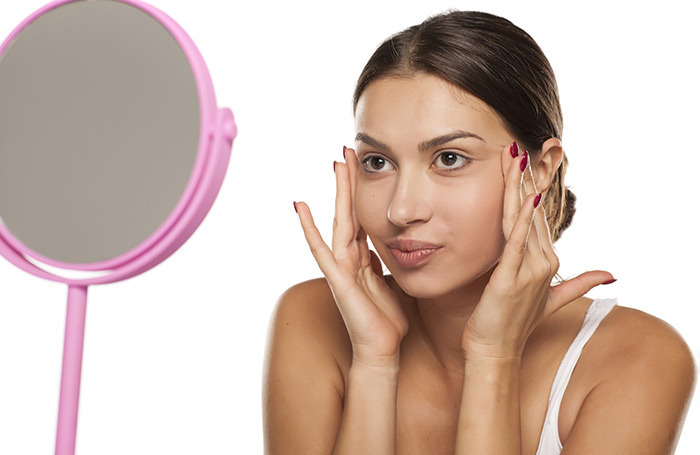 Simply dip a Q-tip into a cleansing lotion and carefully remove the kajal with it. Avoid poking yourself in the eyes. 28. Use Tissue Paper To Eliminate Clumping. To prevent mascara from clumping, wipe off the excess product on a tissue paper before every application. 29. 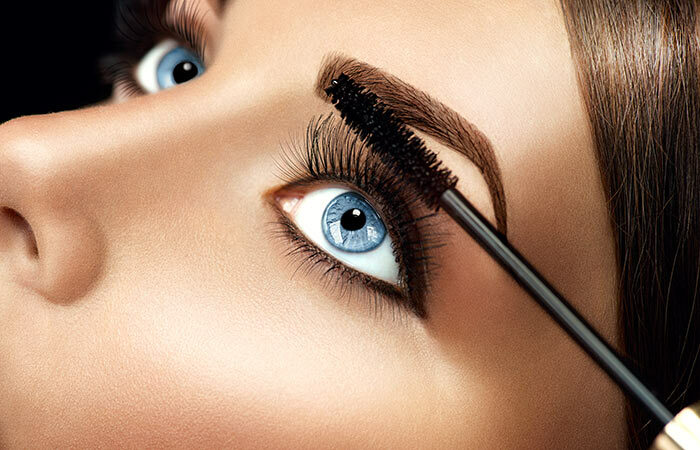 Use Baby Powder For Thicker Lashes. 30. Contact Lens Solution Is The Solution. Instead of scrapping your flaky mascara, add a few drops of the same solution you clean your contact lenses with to it. 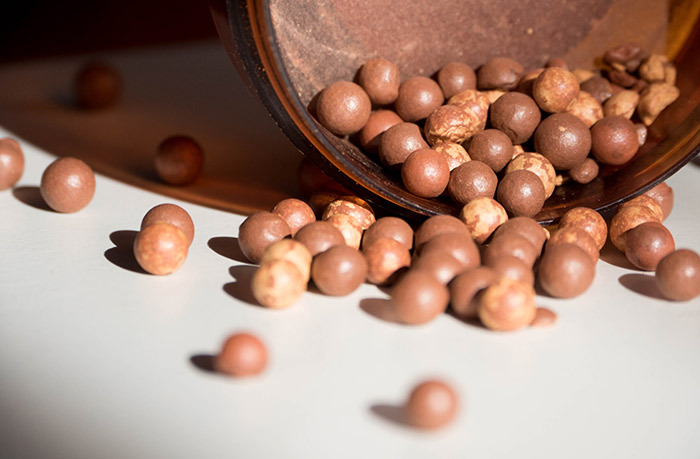 The formula would be back to a usable consistency. You can also put the tube in a glass of warm water to liquefy the formula. 31. Preserve Your Mascara Applicator. Once you are done with a tube of mascara, do not throw away the applicator. You can use the applicator as a spoolie for your brows. 32. Start From The Middle. 33. Practice Overlining With Caution. 34. Make It Last Longer. 35. Apply The Lip Liner After Lipstick. 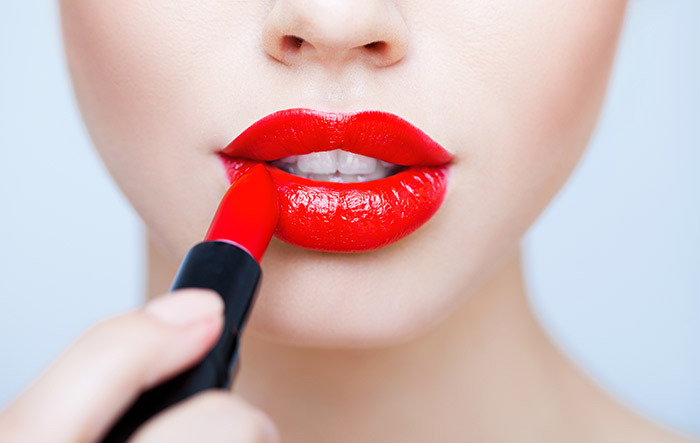 I know it sounds a little odd, but according to some experts, if you put lipstick first and then go for the lipliner, you will know exactly how to line. Also, when they start fading, they will fade together. No matter how exclusive your products are, everything depends on the application. Thus, brushes are of extreme importance. Know which brush to use for what purpose. Yes, with a number of options at your disposal, remembering which brush does what can be daunting. 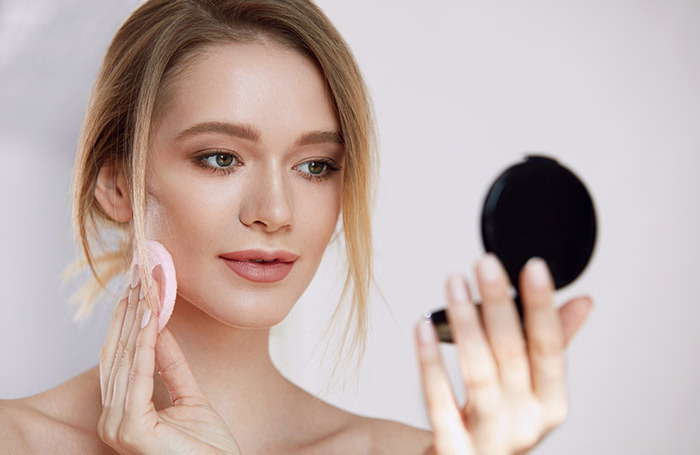 Take time to figure all that out, and till then, remember that fluffy brushes are good for diffusing products like powder or blush, and small brushes are used for products that require precision, like eyeliner and lipstick. There is absolutely no excuse for not cleaning your brushes, unless a serious skin breakout is the look you are going for. Unclean brushes are breeding grounds for bacteria and makeup residues impact their performance as well. Clean them with a mild shampoo at least once a week. Brushes can be expensive, and the plethora of varieties can be daunting to choose from. So, if you have been eyeing that perfect fan brush but your pocket has been looking at the other side, don’t lose heart. Simply take a bobby pin and fix it where the bristles of your blush brush start, and there you have your perfect fan brush to nail than contouring. 40. Wet The Tip Before Application. To get the best out of your intense or shimmery shadows, gently spray your brush with a little makeup setting spray. If you do not have a setting spray handy, just dip the tip of the brush into water for the desired intense effect. 41. Follow The Correct Order. 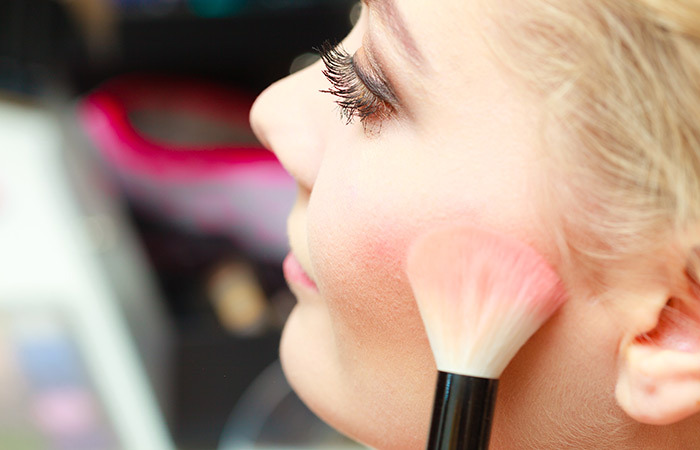 It is important to follow the right order of applying makeup to ensure you get the best finish. 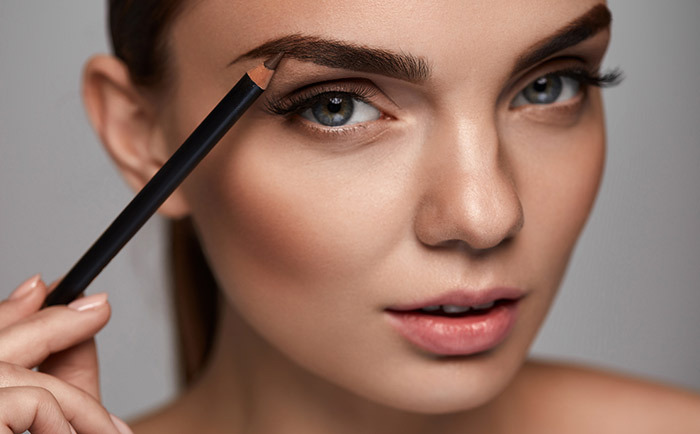 Though it is a common practice to start base makeup first, beauty experts suggest that you start with your eyes and brows. In fact, it is also a good idea to do your foundation, concealer, and powder in the end, so that you can easily cover up all the mistakes for an end result that is flawless. 42. Do Your Makeup Under Natural Light. Try to do your makeup in as much natural light as possible. Makeup looks different under different artificial lights. It is only in natural light that you can understand the real deal. 43. Cool, Warm or Neutral? Know your color tone. There are basically three tones – warm, cool and neutral, and it is important to know yours to find makeup products that have undertones to suit your color tone. An easy way to tell which tone you are is to check the color of your veins. If you have bluish or purplish veins, you have a cool tone. If they appear green, you have a warm tone, and if you have trouble telling, you are probably of a neutral tone. Your makeup is usually incomplete without a dash of your favorite perfume. However, don’t empty the bottle on yourself. If it’s a strong fragrance, instead of directly spraying it, spray it above your head, a little away from your body, and walk into the mist. It will distribute the fragrance evenly and linger on. 45. Make Your Own Palette. Whether it a concealer palette or an eyeshadow palette, there are always only a few colors that we use. 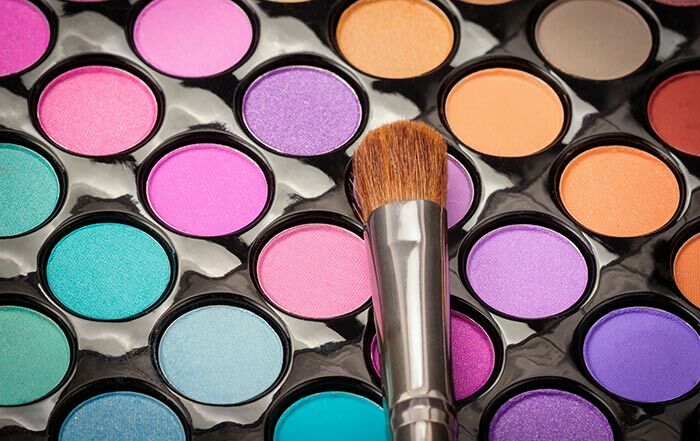 Palettes are usually expensive, so buy refill eyeshadows of the colors you like and set them in an empty box to make your own palette comprising of products you will actually use. It can save you a lot of money as single colors or refills cost way less than palettes. 46. Heat Your Eyelash Curler. Blow your hair dryer on the eyelash curler before curling your lashes. The heat will help you to get perfectly curled lashes instantly. However, make sure the dryer is on low heat mode and test the temperature on your hand to avoid getting burned. 47. Use Waterproof Products Carefully. Although water resistant products are good for long wear and stay put, extended exposure to such products can cause harm to your skin. As water resistant products require a lot of rubbing or special products to remove, wear and tear of the protective layer of the skin is highly possible. The next time your compact, blush or eyeshadow breaks, don’t worry. Just add some rubbing alcohol and hold it in place. Let the alcohol evaporate and say hi to your restored cosmetics. 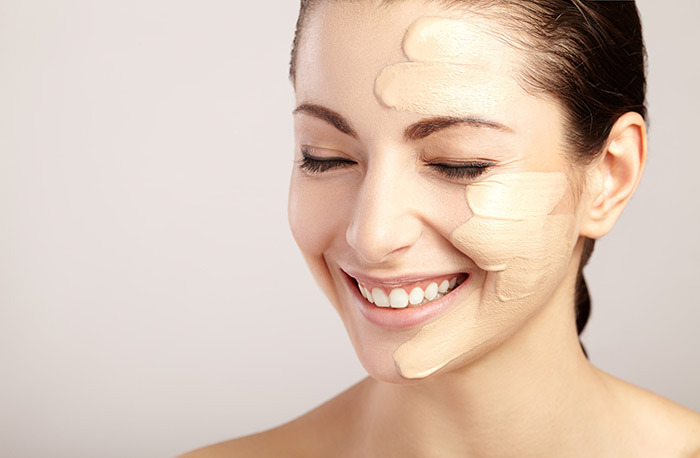 Mix your own primer, foundation, sunscreen, and compact powder to make your DIY customized BB cream. 50. Sharing Is Not Caring. The world of makeup is huge and full of wonders. Explore the world and keep discovering new ideas to express yourself through makeup. 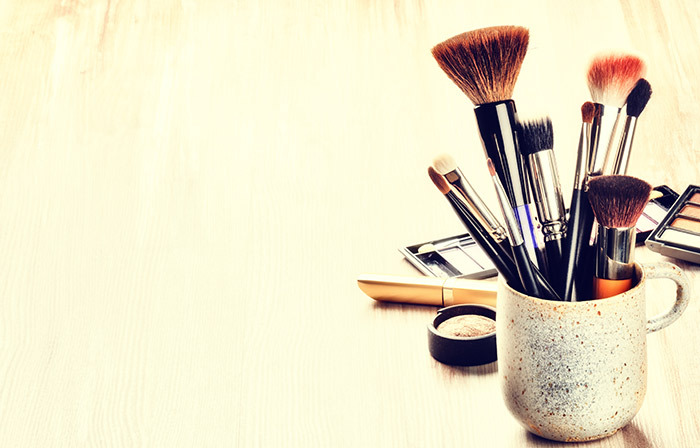 Hoping these 50 makeup tips will help you to look at the multitude of possibilities and keep the makeup adventure junkie in you alive.